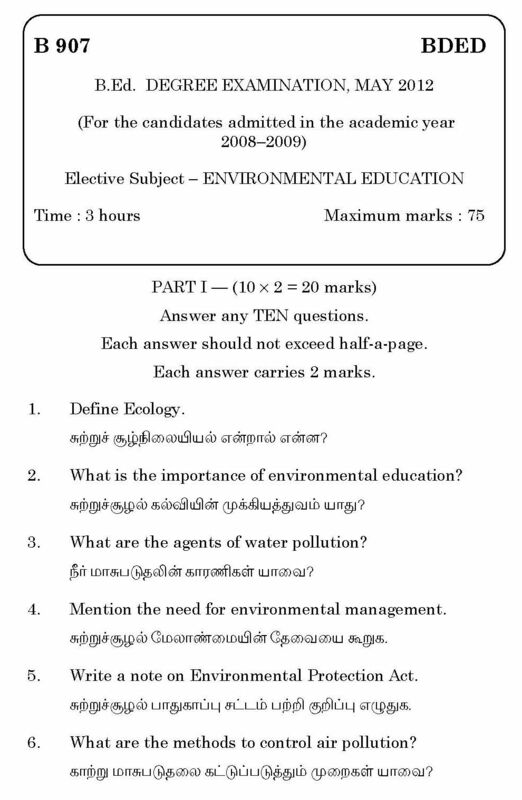 Can you please provide me the last year question paper of TamilNadu Teachers Education University B.Ed Degree - Environmental Education Exam??? 2. What is the importance of environmental education? 3. What are the agents of water pollution? 4. Mention the need for environmental management. 5. 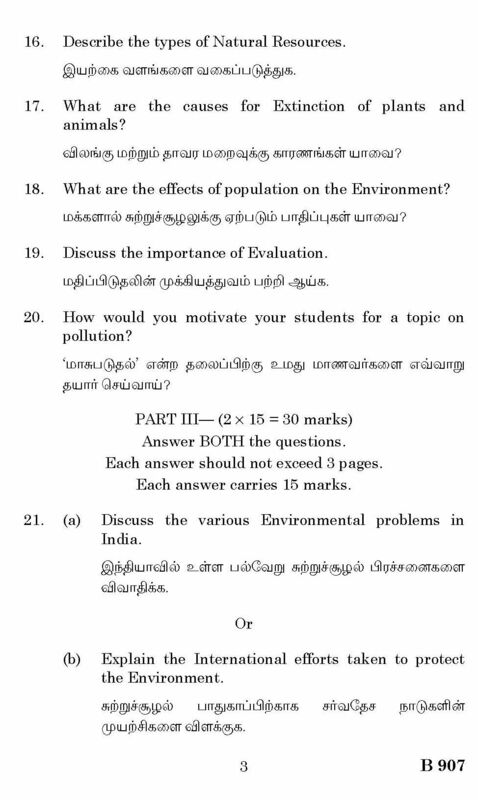 Write a note on Environmental Protection Act. 6. What are the methods to control air pollution? 7. 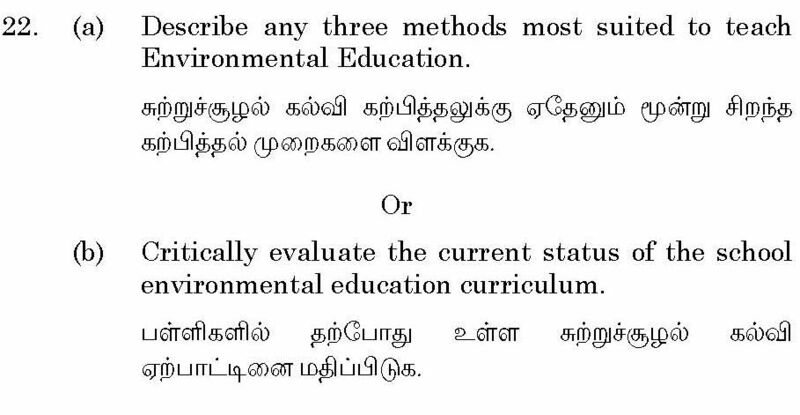 Mention some environmental movements in India. All times are GMT +5.5. The time now is 04:30 AM.